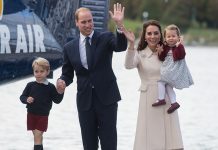 The Duchess of Cambridge found herself apologising to the star-studded audience after the BAFTA awards ceremony on Sunday evening – the ever-humble Kate said a sweet sorry to guests as she left her seat, apologising for keeping everyone waiting as she was escorted away. 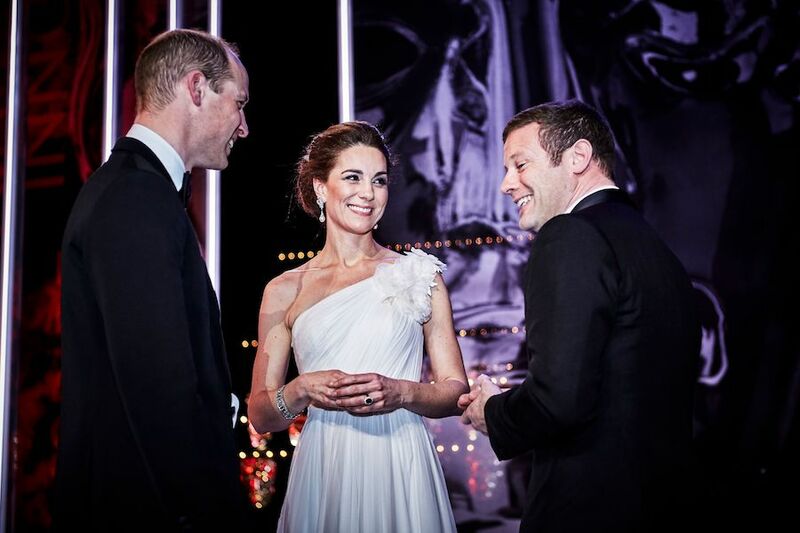 Since Prince William had presented the last award of the night, Kate was led away – later meeting the award winners on the stage – to meet her husband. 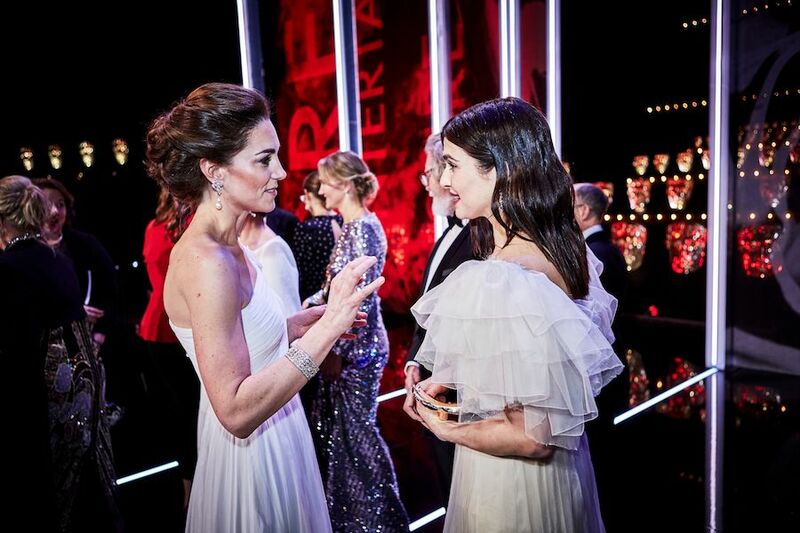 The adorable moment saw Kate whisked off by BAFTA Chief Executive Amanda Berry, quietly saying her apologies to those nearby as she climbed the steps through the audience. Kate and William made quite the entrance when they arrived at the awards ‘do, too, with the red carpet in shut-down mode as they walked through in front of the cameras. There was complete silence as they made their way to take their seats in the audience, escorted by Amanda. For the star-studded evening, the Duchess looked incredible in a one-shouldered white gown by her go-to designer, Alexander McQueen. The dress featured a floral motif on the shoulder and ruffled detailing. 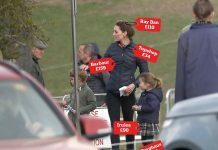 Kate actually wore the dress to Prince Charles’ 70th birthday dinner last November, but in hot pink. Sweetly, she accessorised with a pair of Princess Diana’s stunning pearl drop-earrings, too. In his role as president of BAFTA, William took to the stage to present the Fellowship award to Ms Thelma Schoonmaker. The award is the highest accolade bestowed by the Academy to an individual in recognition of an outstanding and exceptional contribution to film, television or games. Past recipients include Elizabeth Taylor, Michael Caine, Judi Dench and Helen Mirren. After the ceremony – and Kate’s apologetic exit – the royal couple were photographed meeting the award winners. 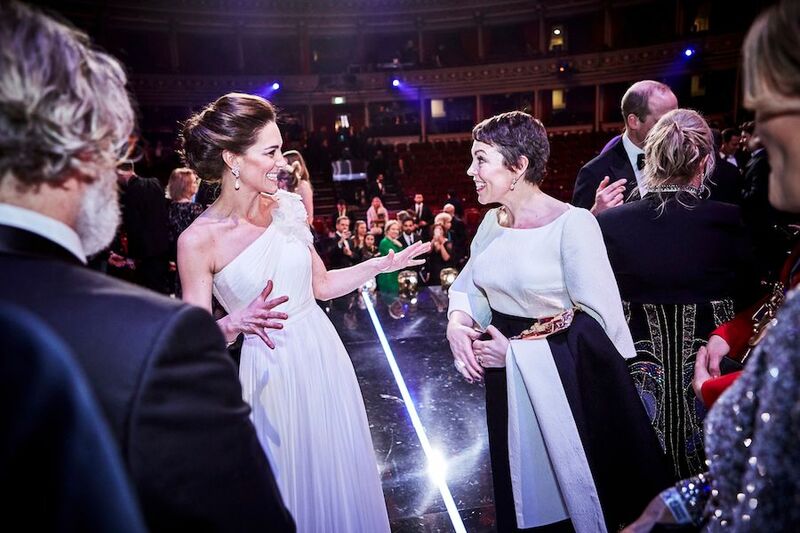 One particularly sweet moment saw Kate laughing and chatting with The Favourite’s Olivia Colman, who is of course set to play the Queen in the next series of The Crown. 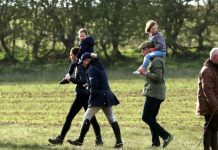 Next articleDo Prince George and Princess Charlotte Attend Official Royal Events?